For me, Easter evokes some of the best memories from childhood. Weeks prior to it, probably around Ash Wednesday, mom would make it her duty to blow out eggs and save them for us so that we could dye them a few days prior to Easter. 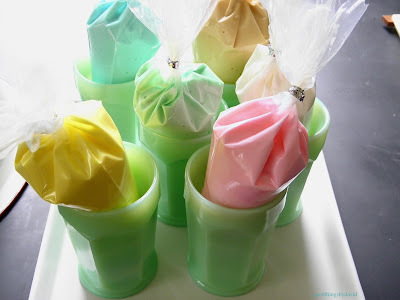 Using one of those Paas kits from the local Woolworth's, we would set out bowls of boiling vinegar water and drop those food-coloring tablets in them. 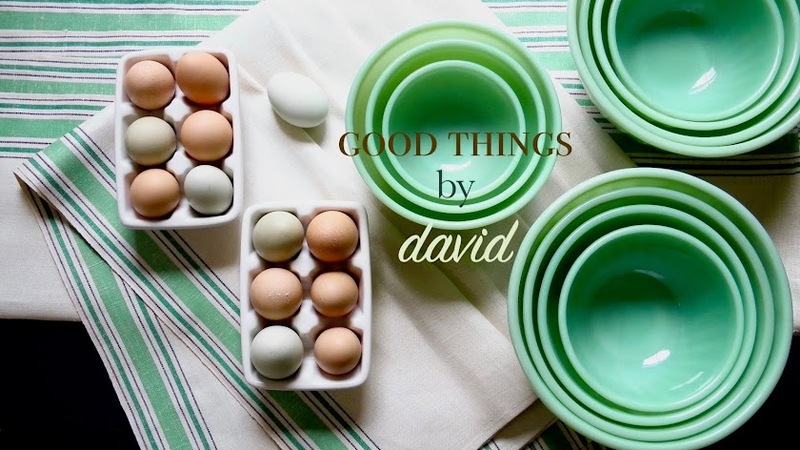 Depending on what we wanted our eggs to look like, my brothers and I would give the eggs a quick dunk for light shades or let them steep in the mixture for minutes in order for them to take on a deeper hue. 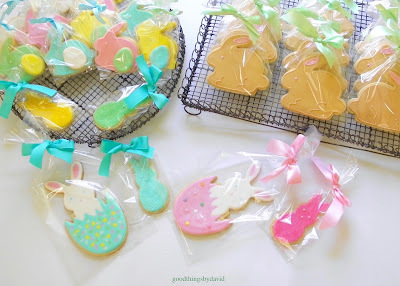 As much as I would like to dye Easter eggs these days, I find it so much more rewarding to color sugar cookies in the shapes of eggs, bunnies and other images, so that I can hand them out to friends, family and neighbors. 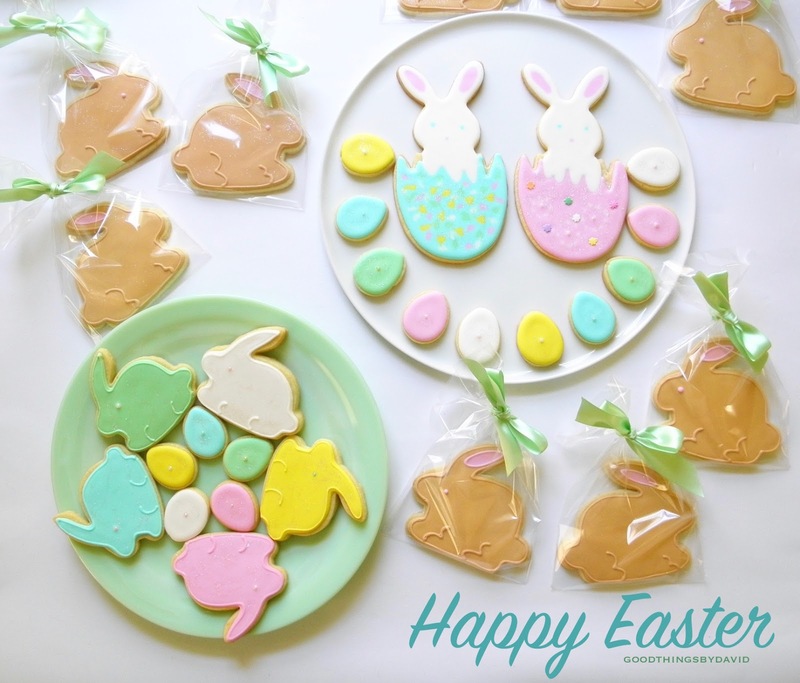 Over the years, I have gathered quite a nice collection of Easter cookie cutters, some of which are collectibles and others which are not. 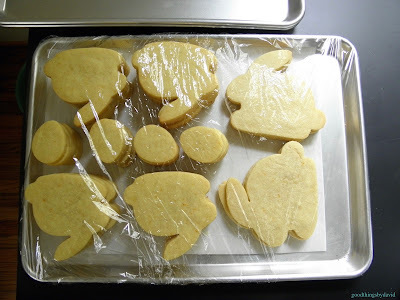 I've even given them their own dedicated storage tins in my Cookie Cutter Pantry. 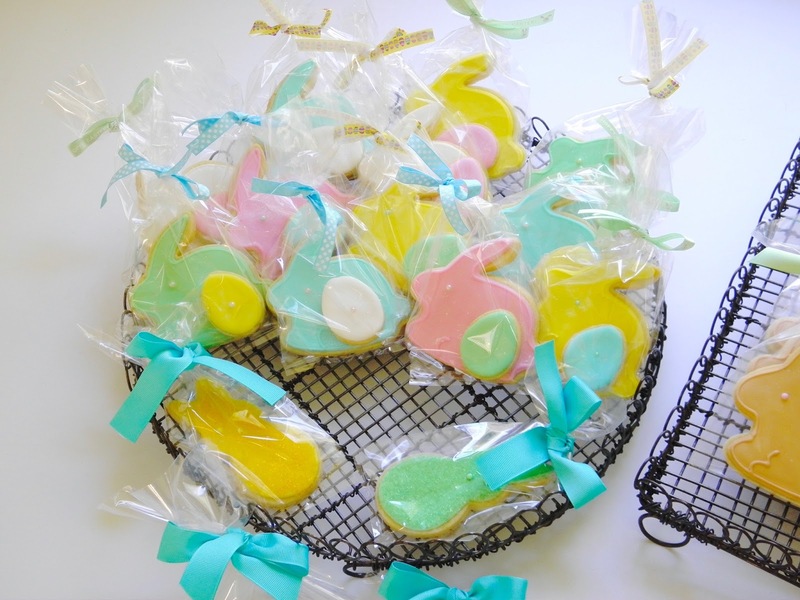 For this year's Easter cookies it was all about bunnies and little eggs. A friend from Washington D.C. wanted some very specific bunnies for his holiday weekend, and others simply wanted "Easter bunnies" without any particular designs in mind. 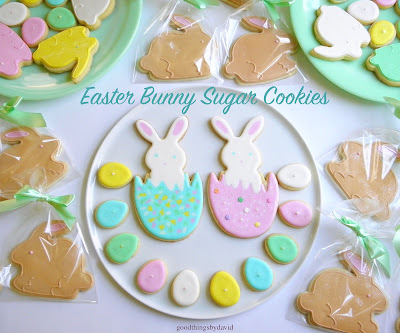 Note: the bunny cookie cutters that I used for this project came from Copper Gifts. The large Bunny in Egg designed by SweetDaniB is perfect for making exquisite cookies meant for Easter baskets, while the Rabbit Cookie with Fluffy Body and the Big Bunny Rabbit Cookie Cutter are just right for treats meant to be placed in cellophane bags. 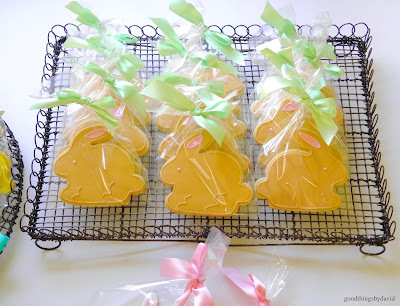 Dozens of sugar cookies flecked with lots of citrus zest were rolled, cut and baked a day prior to icing, and then it was a matter of tinting some delicious royal icing in pastel shades. 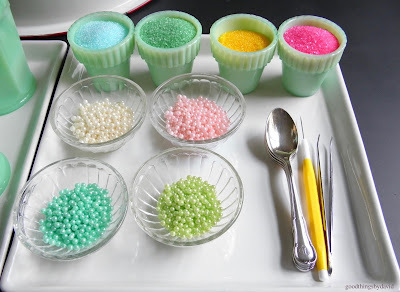 If you wish to use sanding sugars and pearl candy embellishments, put them near your workstation in small containers. 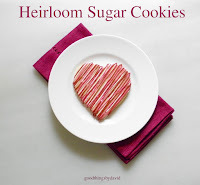 This way you can easily sprinkle them over cookies with small spoons, or place them in specific areas with some tweezers. Easter and pastel colors go hand in hand. 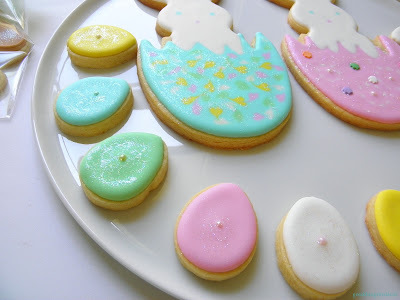 They're the kinds of hues that make me happy if I'm decorating cookies. For this batch I used a very light sky-blue, a soft kelly-green (this almost reminds me of jadeite), a pale lemon-yellow, an earthy taupe and of course, a very sweet, pale pink. I like to stand my pastry bags in glasses or tumblers whenever I'm working with royal icing. An overview of my workstation shows you how I like to keep everything within reach. It's an efficient way of decorating cookies. 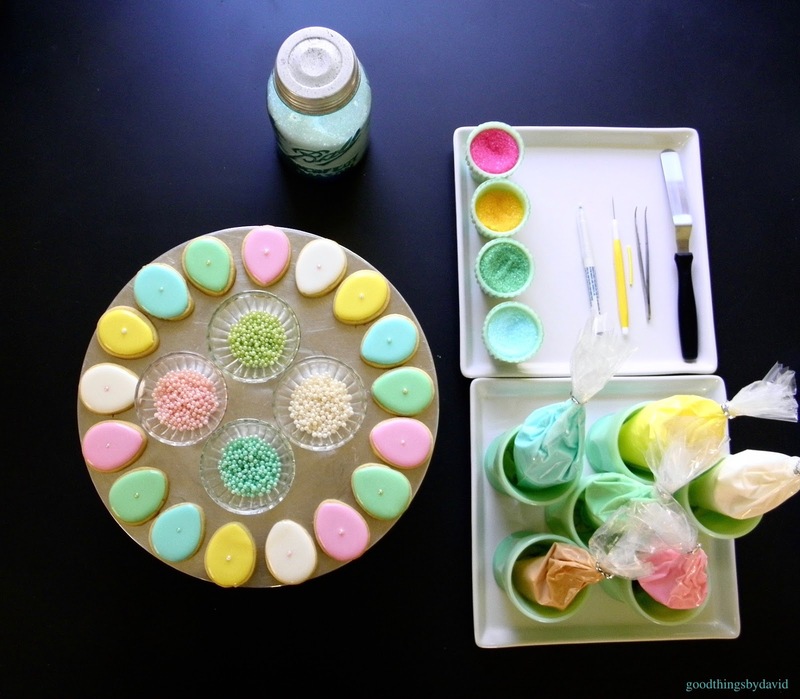 On a cake turntable I outlined and flooded the small eggs with royal icing, and I placed one pearl candy in the middle of each egg. While the icing was still wet, I took a fine paint brush and speckled each egg with a bit of sparkly disco dust to give it some sheen. 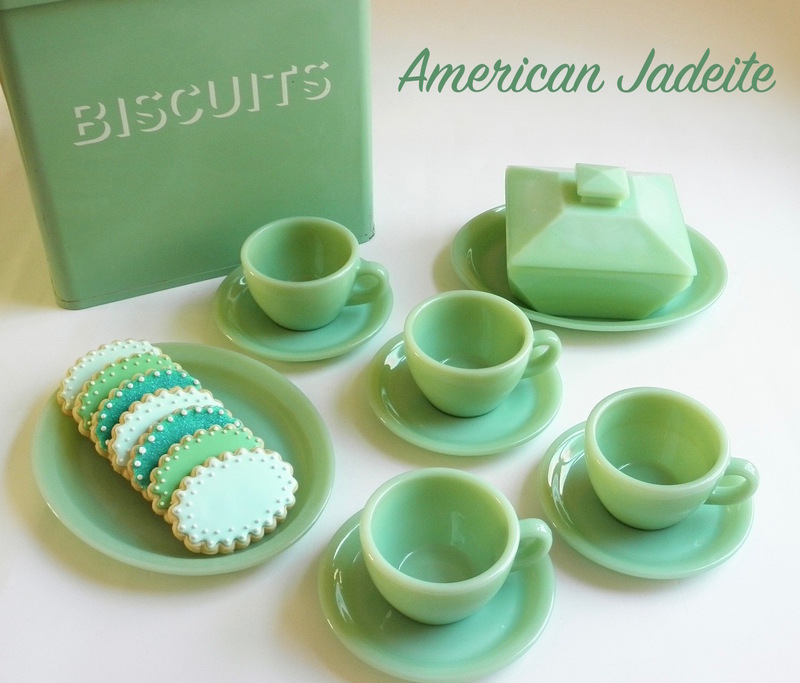 It works just like glitter, except that you don't need much to make a cookie look exceptional. I like using American-made disco dust from Sunflower Sugar Art. For these cookies I sprinkled their Super White. Get a small container of this because you're going to find so many great uses for it! The bunnies were treated exactly the same way. Small pearl candies in various colors were used for eyes. You can see what I mean when I say that a little disco dust goes a long way. The eggs sparkle! My friend's taupe-colored bunny rabbits were placed in high-quality cellophane bags, and were tied with mint-green satin ribbons. All of the taupe bunnies were enhanced with beaded borders. I think the bunnies look especially cute with their hind legs and forequarters piped as they are here. Half of the bunnies were iced facing one direction and half were iced facing the opposite direction. It's good to have a bit of variety! 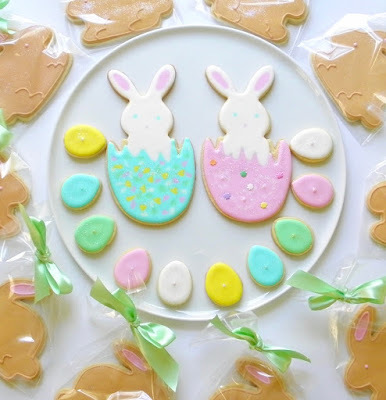 If you plan on having treats like this for your Easter egg hunt, place the wrapped cookies on wire racks, platters or trays so that guests can help themselves. 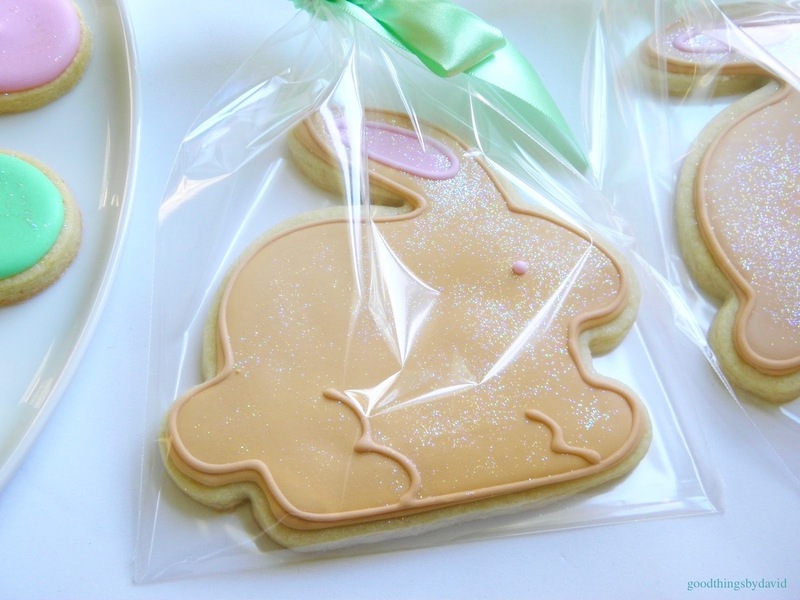 These cellophane wrapped, pastel-colored bunnies were given one tiny egg. This flock is ready for Easter baskets. For two special friends of mine, I decorated the large bunnies hatching out of cracked eggs. As much as I like the classic Martha by Mail cookie cutter, I think that this particular cookie cutter designed by Sweet Dani B. is absolutely adorable! The cookies don't need much to make them unique. Luke is getting the blue-egged bunny, and his sister Samantha is getting the pink-egged bunny. These are perfect for their Easter baskets! cookies can be placed on large platters such as these. 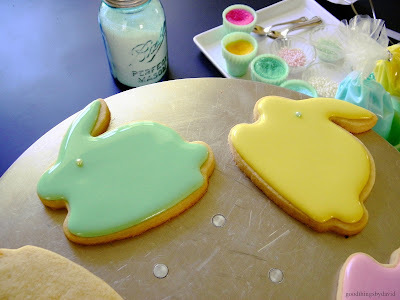 I hope many of you cookie decorators out there are already in the midst of making your Easter cookies. If you haven't started, gather the necessary ingredients and begin the moment you have a little bit of time. All you really need is a handful of colors of royal icing, some candy embellishments, and that glittery disco dust that I talked about. Make them colorful and whimsical this Easter. If you're like me, you're going to want to keep at least one bunny and one tiny egg for yourself. Beautiful and creative as always. I used a pearl spray on my dried cookies this week and it casts a lovely sparkle to my little gems. I must try disco glitter sometime. Happy Easter David. I've never heard of pearl spray, happeyvalleymom! It's on my list now. Happy Easter to you and your family!! !